My husband reads my blog. Sometimes. Usually. He would say Always, but I'm not so sure. Sometimes he skims, maybe. Anyway, Monday was pi day, and I made mini cherry pies in ramekins for my pie-loving boys. 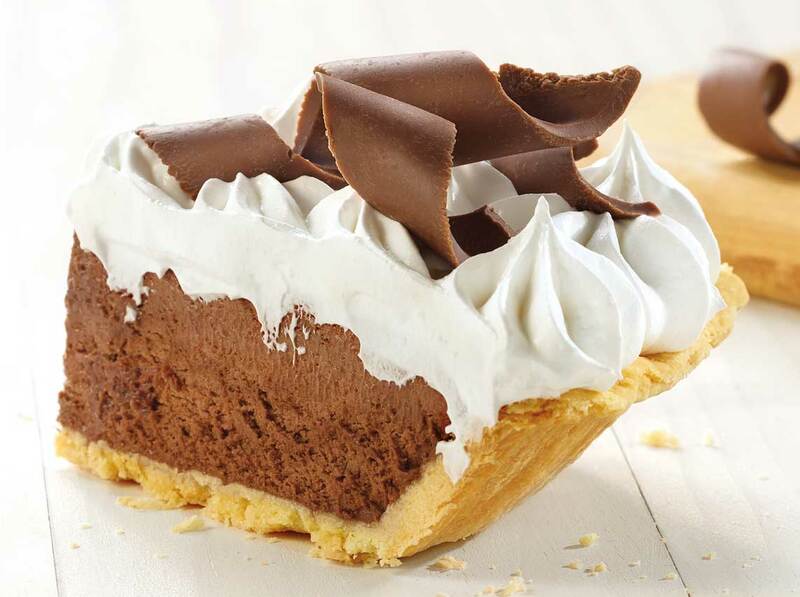 Also on Monday, my husband read my blog post (so he'd know what he was eating this week), and Hubby accused me of lying being mistaken about his request for French Silk pie. That's a lot to have happen in one day. Whew! "I don't even know what French Silk pie is," he said, "why would I request something that I don't even know what it is?" First of all, I don't know why he does approximately 53.8% of what he does. Wait. Maybe that percentage should be higher. And second, I know! I know absolutely that my husband does not know what French Silk pie is! That's why I was so surprised that he suggested it (in an off-the-cuff, throwaway comment, but it was a suggestion none-the-less). That, and the fact that, if he did know what French Silk pie was, it would definitely not be anywhere near his first choice. "I didn't get much pie," he said by way of explanation, as he was scooping out another bite of flaky, juicy cherry pie perfection. Like, when he was growing up, he didn't get much pie. I can see that. And I'm so glad that we're avoiding that particular pitfall for our children. Well, at least the one who is willing to eat pie. Anyway, now Hubby does know what French Silk pie is, and he's not planning on suggesting that I make it anytime soon.